Tree Town Chemistry: Crystals in Chemistry: Wait, What? 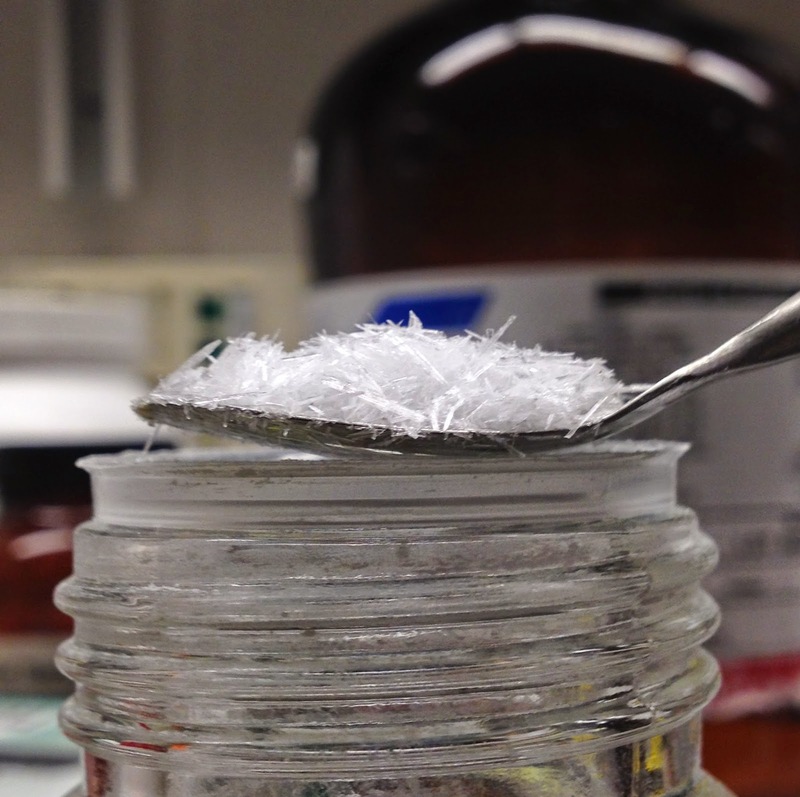 Crystals in Chemistry: Wait, What? 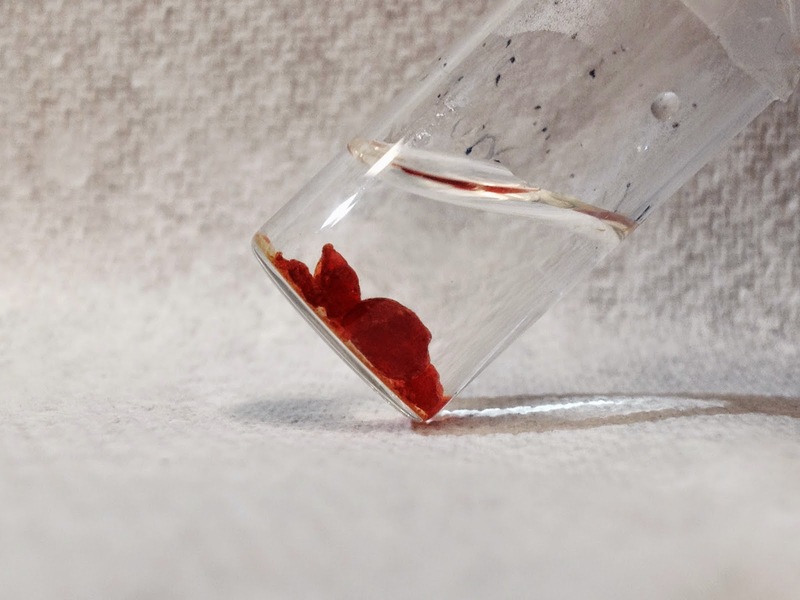 This is the first in a multi-part post about crystals in chemistry. Stay tuned for more! I have been spending a lot of time on crystallizations lately. (Read: I have been a very sad chemist lately.) Last week, as I was hanging dejectedly out of the glove box like some shamed medieval peasant, peering into impossibly dark solutions looking for the smallest sign of a crystal, it occurred to me that these little nuggets of perfection might be the kind of thing that people want to read about. What are crystals? Why do chemists care about them so much? Why am I trying so hard to make one? How are they made, and what do we do with them after we have them? For all this and more, read on. Whether you know it or not, you've seen a crystal in your lifetime. 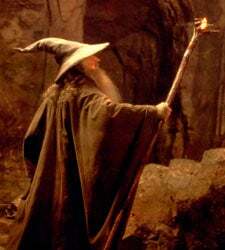 The salt and sugar in your kitchen, gemstones in jewelry, and the tip of Gandalf's staff are all crystalline materials. But not all crystals are shiny, pretty things. The solar cell in your high school calculator was probably a crystal. Metals, drugs, and all kinds of other things can form crystals. The crystal structure of sodium chloride, called the "rock salt"
to form a regular, repeating pattern in three-dimensional space. Crystals are most frequently made out of small species like atoms or molecules, such as is the case with diamonds (crystalline carbon). However, some fields of science have labored painstakingly to produce crystals of much larger species like proteins and an entire ribosome. Sodium chloride, table salt, has a fairly simple crystal structure, shown here at the right. The red cube shows the smallest repeating unit of the crystal, called the unit cell. The entire crystal, no matter how big it gets, is just many copies of this tiny unit cell stacked over and over and over again in three dimensions. Crystals form because they force their constituent atoms or molecules to pack in as closely and as tightly as possible to one another. The extended network of bonds gives the crystal extraordinary stability. We'll talk more about crystal formation in another installment. like iron are often brightly colored. Damn It, Entropy! This Is Why We Can't Have Nice Things! Of course, the packing isn't always 100% perfect. By the second law of thermodynamics, processes that increase entropy are favored. Crystals, with their regular packing and rigid bonds, are not very entropic, so defects form readily and increase the crystal's overall entropy. There are many different ways a crystal can be imperfect or defective. Atoms or groups of atoms can switch places, get swapped out for other atoms, or be missing entirely. Another defect that can appear in crystals is the grain boundary. A grain boundary is a line usually formed when two crystals fuse together to become part of the same particle, or when a crystal changes orientation during growth. are probably polycrystalline - lots of grain boundaries. Outside of the analytical world, both single crystalline and polycrystalline materials have important uses. Generally speaking, single crystalline materials are more conductive of heat and electricity because heat and electricity both have a hard time transferring through grain boundaries. That's why solar cells are often made from highly crystalline silicon wafers. Polycrystalline materials, on the other hand, tend to respond better to stress and strain than single crystals. The grain boundaries stop the spread of dislocations and other signs of stress that eventually end in material failure. The bones in your body and metal support beams for buildings are both polycrystalline; a single crystalline material would be far too brittle. We've only scratched the surface of the properties of crystals and what they can do for scientists. Next time, we'll talk about techniques used by lab workers for crystal growth, both in research and in industry.